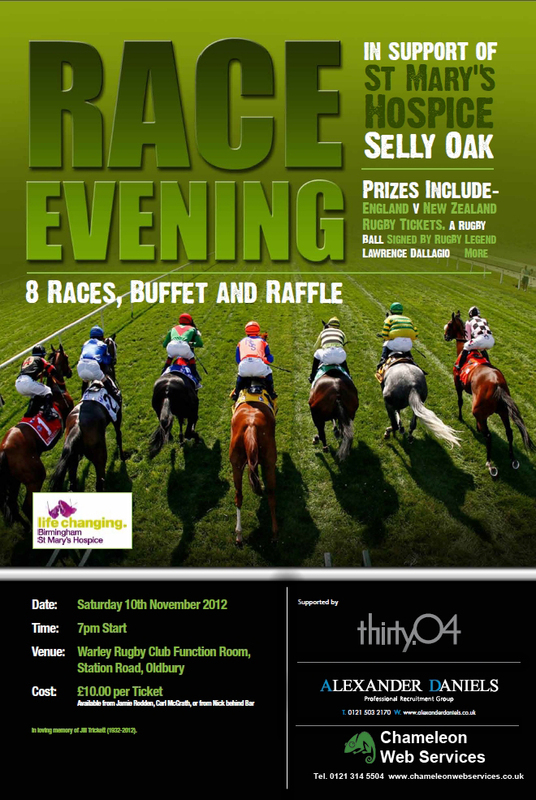 On Saturday 10th November 2012 Chameleon along offered Birmingham St Mary’s Hospice Charity Support by sponsoring a Horse Race at the Charity Event that was put on by Alexander Daniels and Unison CCTV. Giving our support to help support St Mary’s to provide the best care in Birmingham and Sandwell. The event raised over £1500 which was fantastic for one night of enterainment.